The Religious Education program is designed to present the fundamental beliefs and practices of the Catholic Church for children in grades pre-k through 8th grade. The curriculum is designed to work toward an in-depth and cumulative knowledge of the faith and life of the Catholic Church. 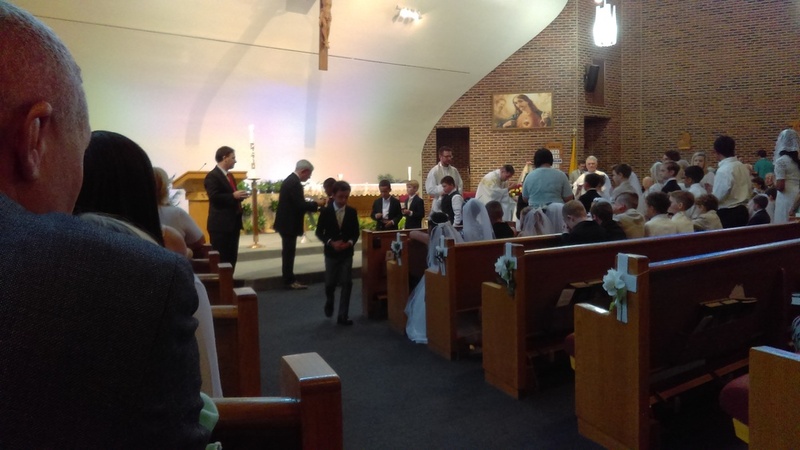 In 2nd grade, children are prepared for the Sacraments of Penance and Eucharist. Children in 3rd through 8th grade participate in the Sacrament of Reconciliation twice during the school year. Other events, such as Stations of the Cross, Sacramental Gifts, and Christmas Mass all work with our curriculum. Participation in Religious Education will provide your child with a significant understanding of Catholicism and serve to more effectively form their faith. To register for this year&apos;s RE classes, please fill out the registration form above and submit payment when complete.